Natural flowers should not be lacking in a real girls room. This pink curtain with flowers makes her cozy room right away so cheerful. This fabric is perfect for decorating a girl's room or children's room. 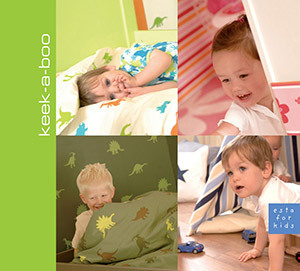 You will find this fabric with flowers in pink (184613) the collection Keek-a-boo.